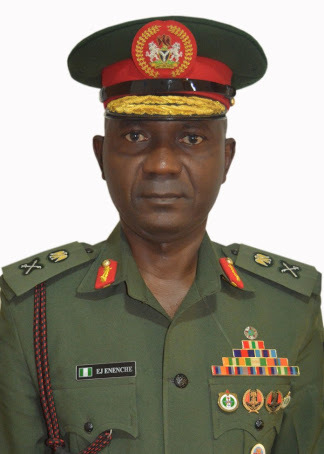 Major General John Enenche has been appointed as the new Director Defence information. He would be replacing Brigadier General Rabe Abubakar who is now the Director of Information Management in the Department of Civil Military Affairs, Army Headquarters. John Enenche, few months back, he was elevated to the rank of a Major General from Brigadier. Until his appointment as the new Defence Spokesman, Major General Enenche was the Defence Liaison Officer at the Defence Headquarters. He has since taken over with effect from 6 March, 2017. Gen. Enenche is the elder brother of Dr. Paul Enenche of Dunamis and also the son of the paramount ruler of Ogbadibo LGA of Benue State, Chief D Enenche.